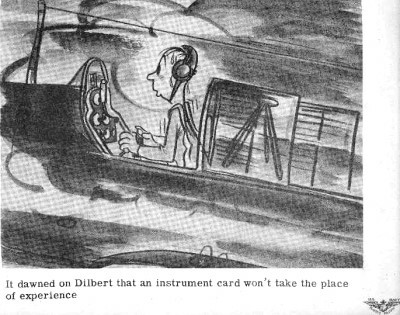 Do you know how engineering whipping boy Dilbert came to be called by that name? 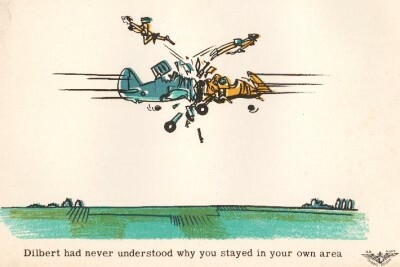 Per Scott Adams, while working at Pacific Bell he ran an informal name-the-comic-strip-engineer contest from his cubicle. A guy named Mike Goodwin suggested Dilbert. "I ended the contest immediately and declared Mike the winner," says Adams. It sounded perfect. 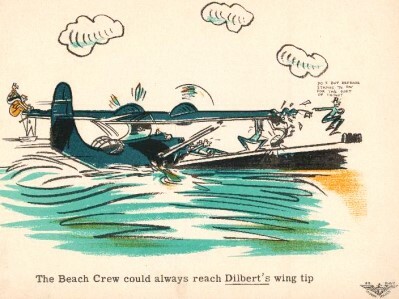 Years after the comic strip had become syndicated, Mike commented that he believes the name idea might have come from seeing his father's old WWII aviator comics with "Dilbert the Pilot." 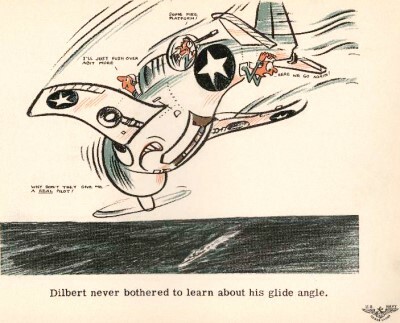 DtP was a screw-up, invented by Navy artist Robert Osborn, whose purpose in life was to illustrate the wrong way of doing things so that real pilots wouldn't make the same mistakes. The name was funny then, as it is funny now. BTW, Dilbert is a variant of Delbert meaning nobly famous. 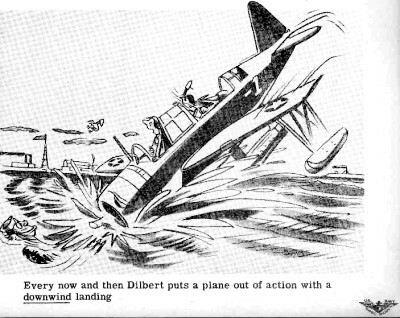 During the War, "dilbert" became a synonym for "blunder" for Navy pilots. 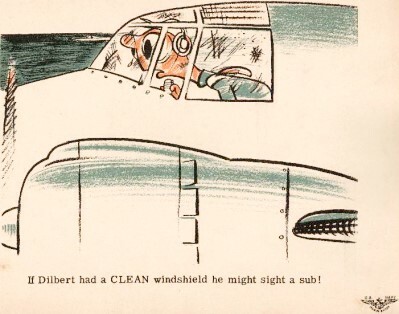 The Navy even produced an aviator safety film titled, "Don't Kill Your Friends," featuring Dilbert the Pilot. "Don't be a Dilbert!" 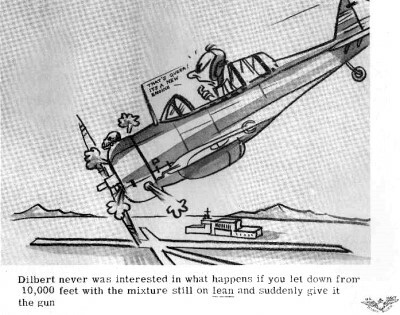 Navy Training Film, "Don't Kill Your Friends"
The AskACFI.com website has a huge collection of Dilbert the Pilot drawings as well as many others from Robert Osborn.